Going To Streetfest? Check Out Some Of The Delicious Food There! 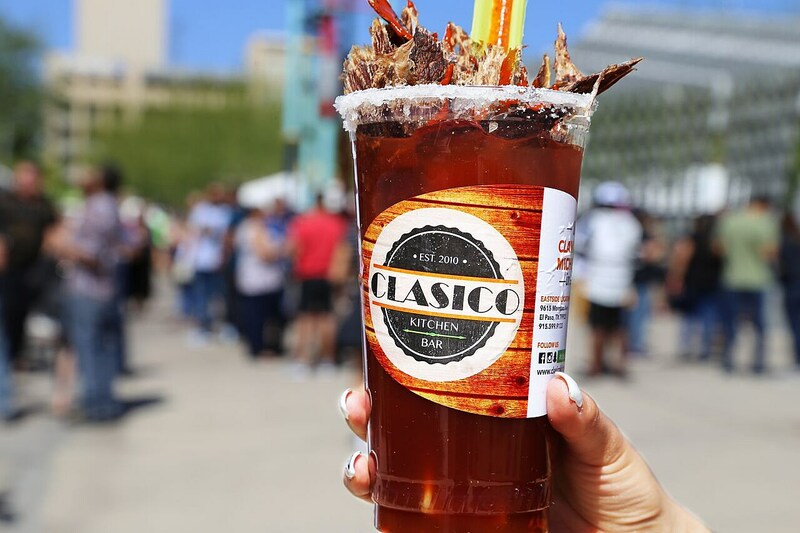 Delicious Mexican Eatery– a staple at many of our events, Delicious brings their gorditas, tacos and the sweet treat funnel cakes for your to enjoy! Great American Steakhouse– If you are hungry for our American classic, Great American has the burger you are looking for! Taquizas– Get reayd to devour some of the best tacos and salsas available here in the Sun City! If you’re looking for great Mexican food, you’ll want to check them out. Rebel Grill– One of the best food items out there, the queso steak fries are available at this food truck! If you’ve never had them before this dish will blow your mind. They’ve also got tacos, quesadillas, nachos, shrimp cocktails and more. 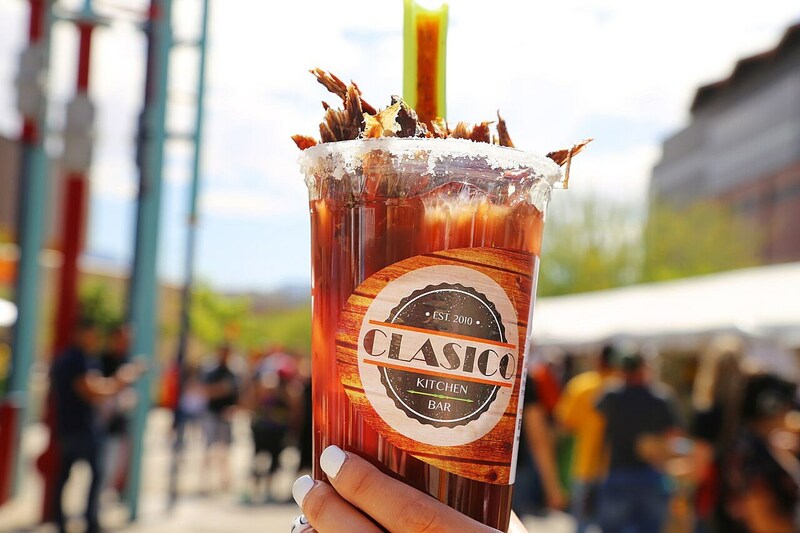 Sushi On Wheels– You can always find great Mexican food in the Sun City, but if you’re looking for something exotic, Sushi on wheels has you covered. They have fresh sushi, teriyaki chicken, shrimp cocktail, fish and shrimp taco. Cocteles Mazatlan– If you love Mexican food and seafood, Cocteles blends these two worlds into one delicious truck of items just for you. Tostada de ceviche, Clamatos, ceviche and more for you to try! Tropical Sno– It can get hot this time of year, so why not cool down with a sweet, icy treat like a sno cone? Just make sure you add the cream! Breaking Bad Food truck- Even though the name says bad, the food definitely isn’t. Bringing Bratwurst hot dog creations and flavored sno cones you get the best with dinner and dessert all in one food truck. Aguas Frescas- Sometimes you just don’t want a soda, beer or water. Insert an aguas fresca here. Refreshing, cool, sweetened from fruit juices and overall a delicious tradition for many! Grab one or more while you stroll around the festival. El Baril– This eastside joint is bringing some of their great food all the way downtown for you to enjoy. Check out their Clamatoas, papas locas and shrimp cocktails. Desert Rustic Kitchen- This mobile kitchen is bringing the smoked meats! Enjoy their awesome tacos, brisket, papas locas and more! Tani’s Food Truck- MENUDO!! Plus burritos, burgers, tacos, tortas and gorditas but can we focus on the MENUDO??!! 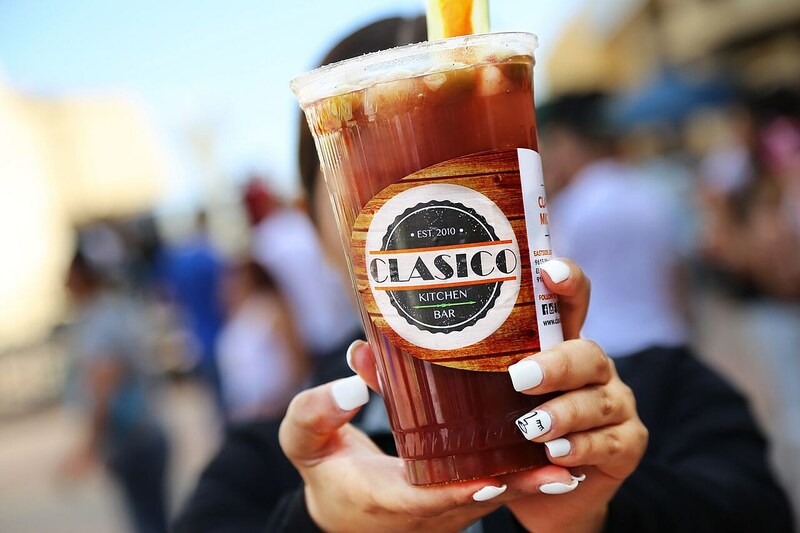 Clasico Kitchen on the Plaza- Some of the best Clamatoas around! No really. I had a clamato here that blew. my. mind. I wouldn’t mind trying that life-changing drink again from these guys. There is plenty of things to do, see and great eats! And don’t forget, the music too! Find out more about this year’s Streetfest at the Downtown El Paso Street Festival website.